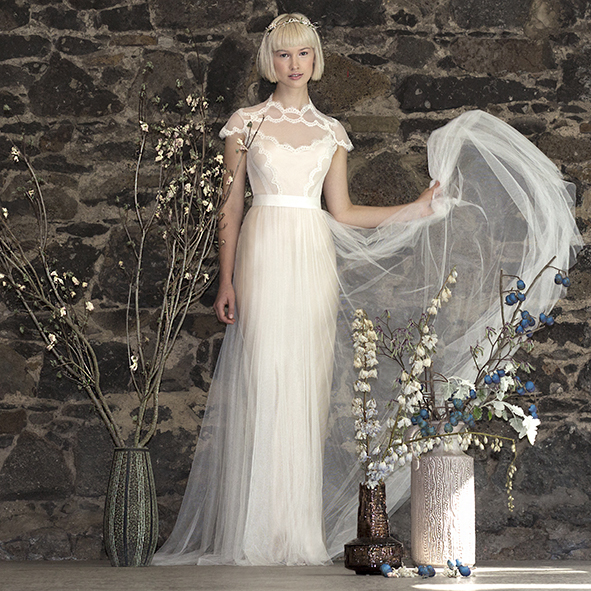 'Gwendolynne White’ is designed with the label's typical grace and ingenuity. Retaining classic flattering designs with an effortless feminine silhouette and the luxurious quality for which Gwendolynne is renowned. 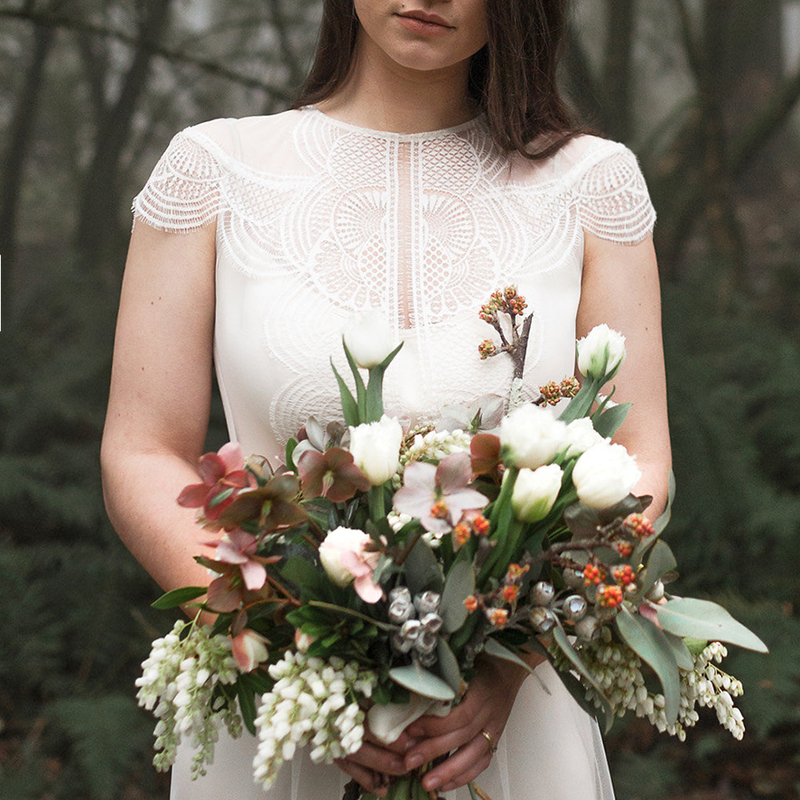 Predominantly in crisp whites and ivories, the collection makes a feature of intricate laces with hints of signature beading. 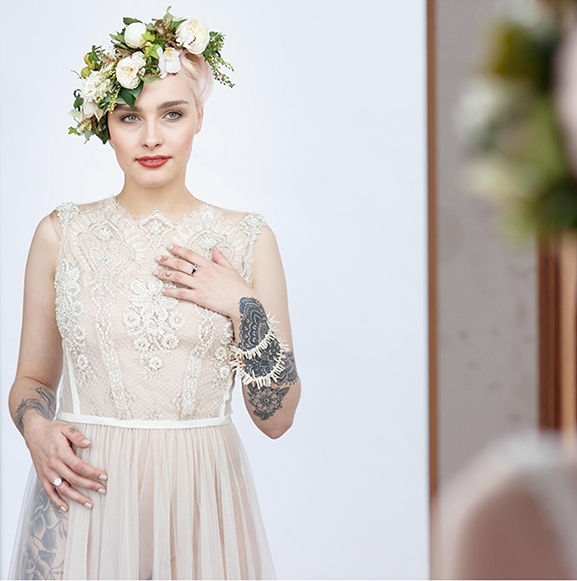 Beautifully scalloped and finished with great care and attention, forms in the lace are painstakingly placed over the body in a way that honors the design and the wearer. Luscious silk satins soft tulles, and flattering sunray pleats, are seamlessly combined to create an elegant, understated look for modern brides. 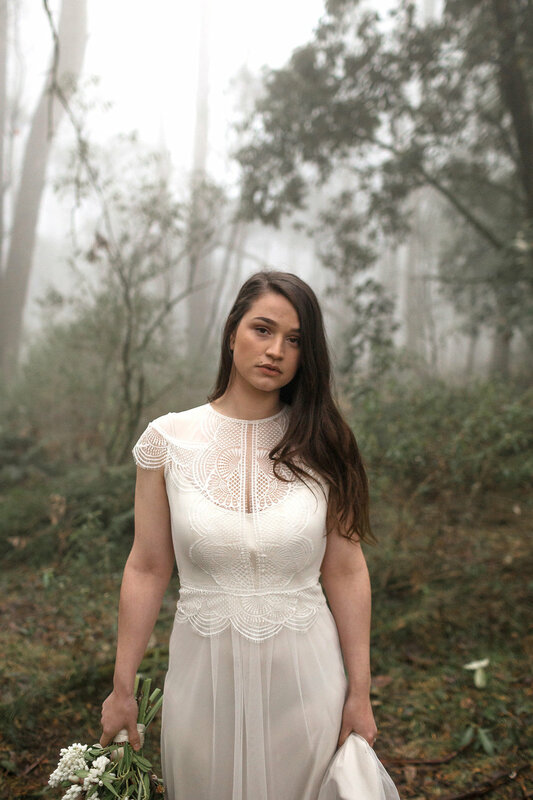 Gowns in the 'White' collection are deigned to fit with ease thus eliminating the fitting process and can be shipped to brides or picked up in our Fitzroy Melbourne studio. Prices in this collection range between $2,750 - $3,995. 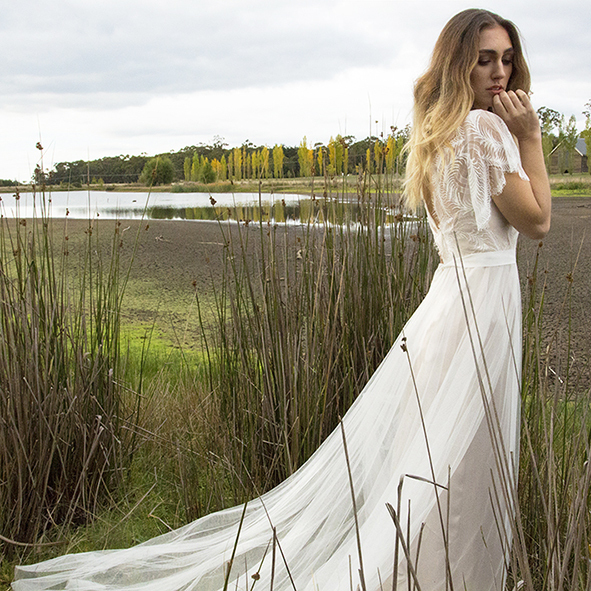 Each gown is individually hand crafted and lovingly made in our Melbourne studio.